Winter is coming: So go and enjoy it! 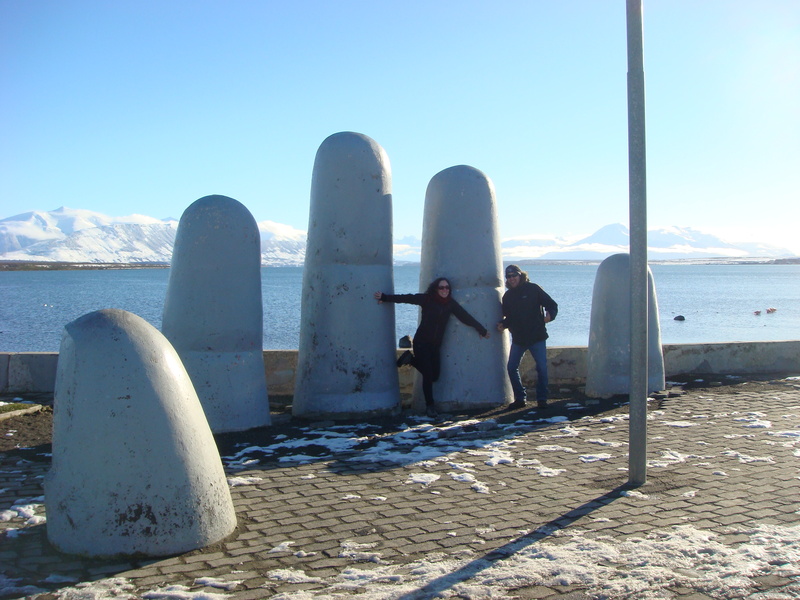 I have previously written a blog post about fun things to do in Punta Arenas in the winter, but there is so much more to do and see! Will you be traveling in the region this winter and wonder what can you do? Here are a list of different tourist activities that are great in sun or snow! 1. City Tour of Punta Arenas: Check out the highlights of Punta Arenas, including the Sara Braun Municipal Cemetery, the Plaza de Armas, historical and natural history museum, a drive along the Strait of Magallanes waterfront, and visits to the city’s best viewpoints (Cero de la Cruz). 2. Gastronomic Tour of Punta Arenas: Along with all of the stops in the regular city tour, you will also taste your way through the gastronomic world of the Patagonia. Flavors include chocolate, calafate berry, king crab and more! 3. Historical Fort Bulnes: This beautiful fort, located 60km from Punta Arenas, offers sights of the secluded Southern tip of the continent, including the Darwin Mountain Range and Tierra del Fuego. The beauty of the Fort’s coast line and forests is overwhelming, and there are many trails that take you throughout the fort. 4. 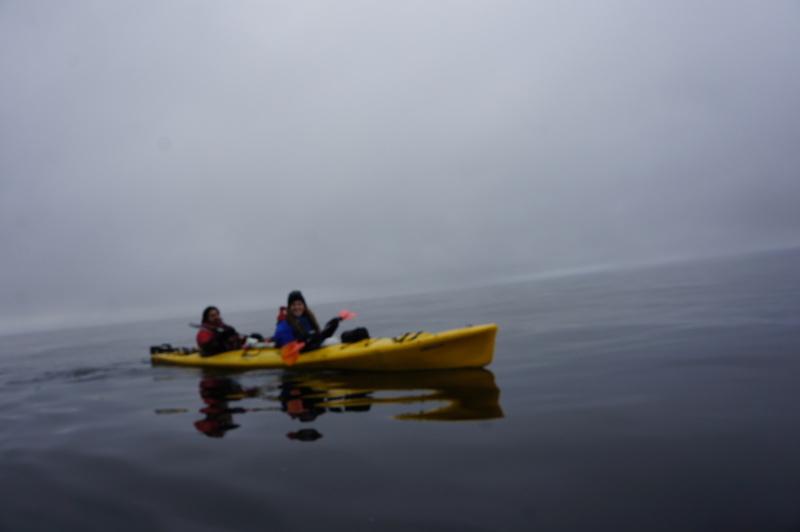 Kayaking in the Strait of Magellan! This year-round sport takes on an enchanted and almost spiritual feeling in the winter as the human world becomes quiet and the natural world flourishes. When I remember of kayaking in the winter, I think about the peacefulness of the water, the activity of the dolphins, sea lions and birds, and the stillness of noise except our paddles hitting the water. 5. Club Andino and the Reserva Magallanes: Get out and enjoy the hiking/skiing/cross country skiing in the forest reserve located only a 10 minute drive from Punta Arenas! What are you waiting for? 6. TORRES DEL PAINE: While the services in the park are closed for the winter, including the hiking trails and refugios, you can still do a Full-day Torres del Paine tours leaving from Punta Arenas or Puerto Natales. 7. King Penguin and Tierra del Fuego: Head across the Strait of Magellan to visit the Chilean/Argentinian Island of Tierra del Fuego. Here you will visit the King Penguin colony, the towns of Porvenir and Cerro Sombrero, and drive along sheep and guanaco filled estancias in this remote land. This entry was posted in Uncategorized on June 25, 2015 by On the Road Patagonia. GORP, standing for “Good Old Raisin’s and Peanuts”, is a backpackers best friend. This simple snack provides important sugars, fats and proteins that your body needs while trekking. The best part of GORP is that EVERYONE can make it, you don’t need to bake or cook at all, and the best GORP recipes tend to be those that happen by accident. All you do is mix whatever you want together, and bam! 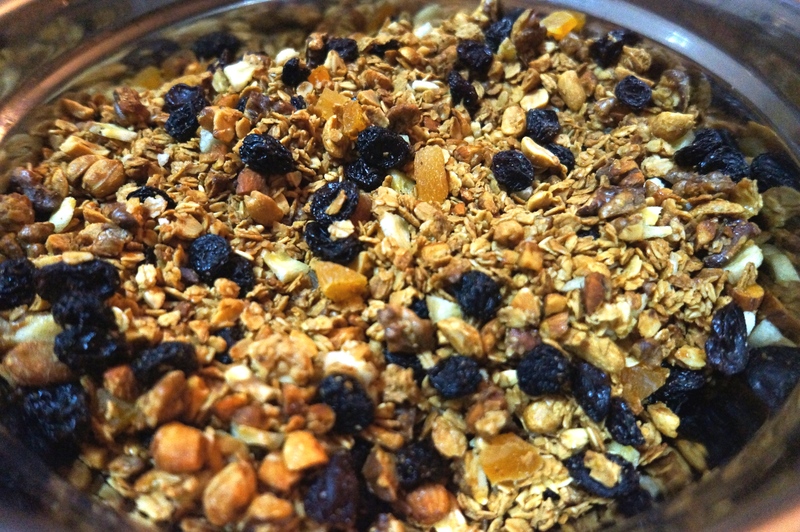 A delicious, crunchy, sweet, salty and whatever you desire trail-mix. Meet your new best friend. When in need of energy, GORP is always reliable and offers a surprise in every handful. There are so so so many more GORP recipes, I will update later with more! Feel free to send me your favorites and I will post them 🙂 Happy eating! This entry was posted in Adventure Tips and Lessons, Food & Drinks and tagged backpacking food, GORP, trail mix on March 20, 2014 by On the Road Patagonia. One of the largest and most sought-after bird in the Patagonia, the Andean Condor (Vultur Gryphus) is a giant scavenger who roams the Patagonia looking for carcasses of large animals such as lamb or guanacos. Found widely throughout the region, the are common in Torres del Paine, Punta Arenas (dozens of them are found flying about the sheep located near Seno Otway), and Puerto Natales (not to mention most all of the Andes). 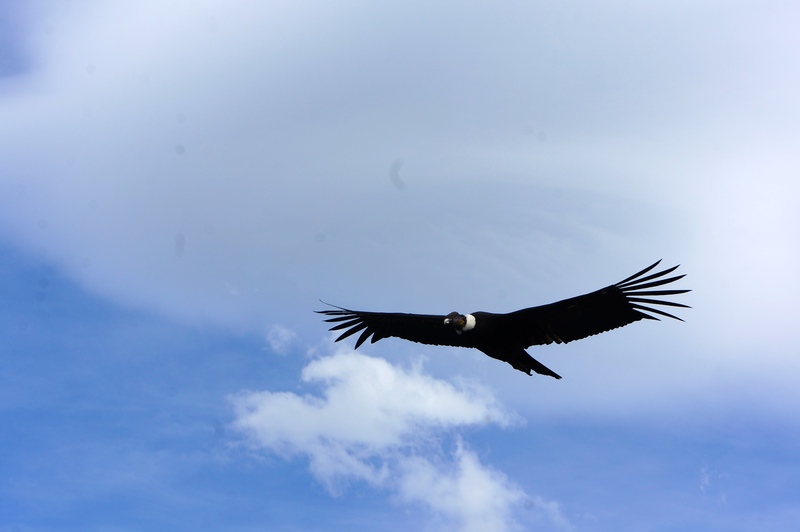 Andean Condor’s can have a wingspan up to 3.2m (10.5ft). These birds typically soar, rarely flapping as they ride the air currents in slow circles. Once considered endangered, the condor can live up to 50 years. 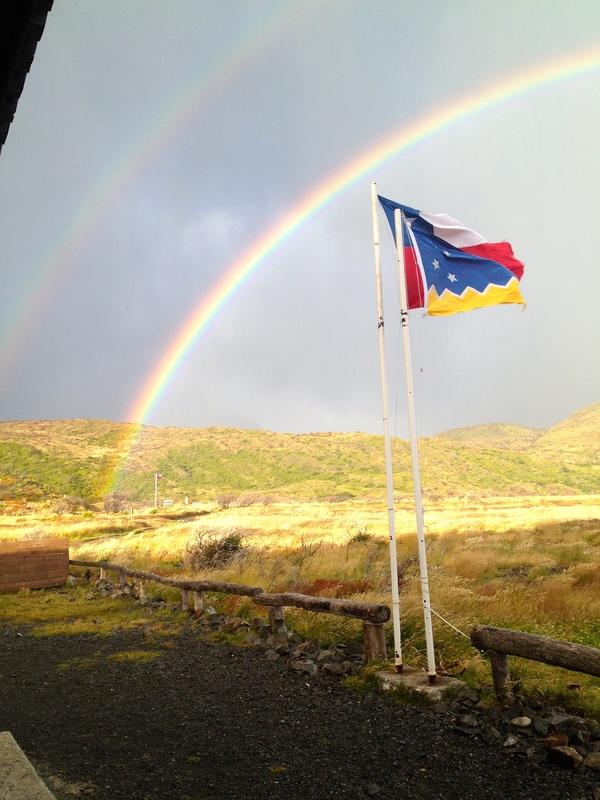 This entry was posted in Life in the Patagonia on March 17, 2014 by On the Road Patagonia. 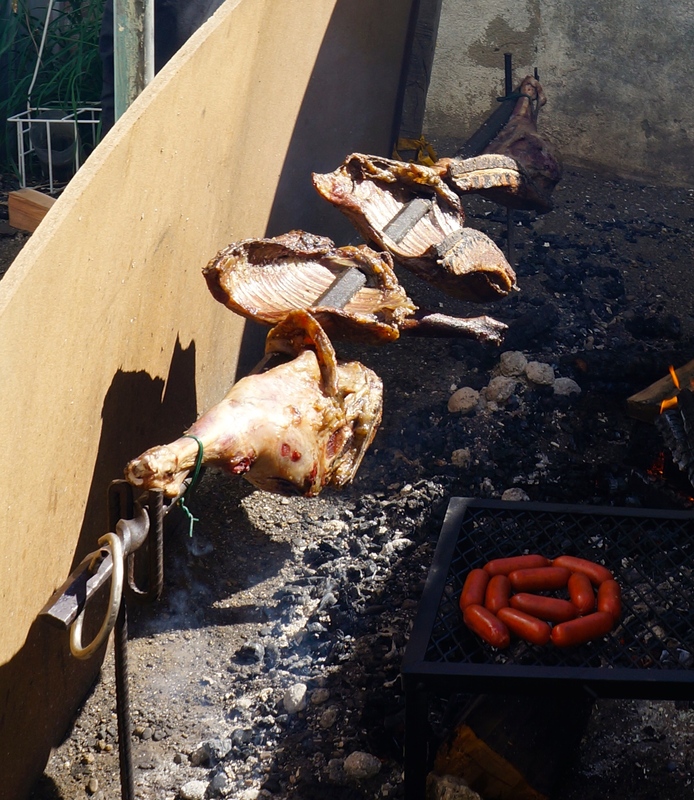 There are several different ways, and everyone from the region will tell you how they do it, which of course will be slightly different and obviously more delicious than how everyone does it 🙂 Typically it is roasted slowly upright on a stake (cordero Magallanes al palo), like in the photo above. Another way to roast it is sideways on a stake, cutting the lamb into 4 pieces. We prepare lamb sideways because we have accesses to this type of heavy metal stake that is necessary to hang the meat on. The trick to slow roasting is in the fire and charcoal. It is important to keep a fire constantly burning, and scatter the hot coals underneath the lamb while always keeping the fire separate to produce more charcoal. The flavor of the lamb comes from salt and a combination of onion, garlic, cilantro, aji, vinegar, water and whatever else you choose to add, combined into a liquid sauce which is basted on the lamb so as to not dry out. As it cooks, these flavors integrate themselves into the crunchy skin and meat, mmmm. After 4-5 hours of roasting, listo! A feast of Magallanes lamb ready for whatever event. This entry was posted in culture, Food & Drinks, Life in the Patagonia on March 17, 2014 by On the Road Patagonia. 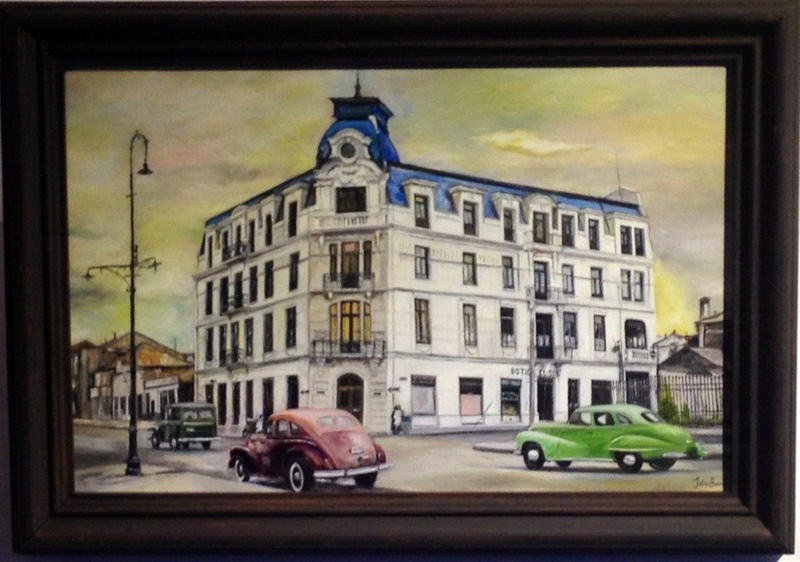 Yesterday we attended the exposition of artist Julio Barría about the past and modern Punta Arenas. His works are oil on canvas, filled with detail, and magnificently capture the true essence of the city. 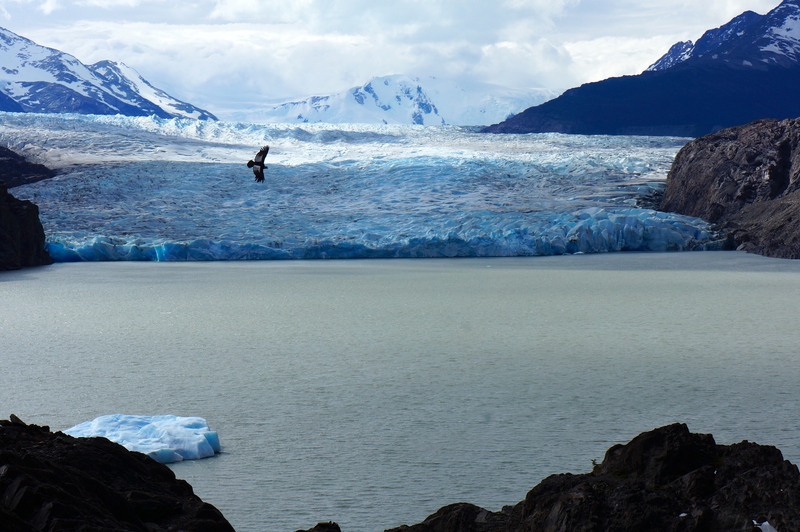 This entry was posted in culture, Life in the Patagonia, News on February 25, 2014 by On the Road Patagonia. This day should be called “The Margarita meadows,” in honor of the endless fields of white and yellow margarita meadows that spread in every direction, all waving in the breeze that had picked up. We passed a group of several dozen horses as we walked to where we ate lunch by a beautiful river that ran down an open wooded area perfect for a picnic. As we stood to leave, suddenly appeared all of the horses, who followed us to the river where we had been not 30 seconds prior, and watched us start down the trail. Seron has a small cabin it uses as a refugio for meals (serves breakfast, lunch and dinner), and a nice campsite on the edge of a giant wildflower meadow which sits between camping and the river Paine. We woke to intense rain in the morning, with a rainbow over the campsite promising sun. By the time we headed out, the rain had subsided and the sun was breaking through. First we rounded the corner at the river Paine, then started the uphill march to reach the windy pass, about 30 minutes or so from seron. Out of breath but enjoying the view, we turned the mountain pass to views of the lake Paine, and started a descent along the side of the mountain with views of condors swirling above our heads. The descent starts out exposed to wind and elements until it dips down at the western shore of lago Paine and into wooded conaf lands. You will walk upon a conaf station called coiron, with domes for CONAF staff and 2 toilets. The trail evens out from here, taking you through margarita meadows until you reach ‘the dead marshes’ (for those Lord of the Ring fans). Wooden planks and walkways span parts of the trail, other parts you must navigate through mud and swamp, killing Mosquitos as they swarm. About 45 minutes of walking through the marshes and the trail opens up to a view of lago Dickson and the Refugio on its shore. To finish you must climb up then down a steep cliff until you reach the open grassy fields of refugio Dickson. The Refugio is small and cozy, with 2 long tables and a small sitting area. Immediately after arriving the rain storm came, and threat of continuous rain haunted us through the night. The day was threatening rain from the beginning, so we decided to take it easy and leave around 11:00am. The hike immediately starts climbing a muddy forest for about 30 minutes, then continues to climb more gradually up a forested valley. We were lucky with the weather, because although it was apparently super cold and stormy, we were protected under the canopy of the Lenga forests we were walking under. Closer to Perros we hit the open rocky area, which we followed around a glacier lake at the bottom of Perros Glacier, just in front of the campsite and before you have to cross the pass. Two of us decided to get a better view of the glacier, and scampered on the loose boulders until we reached the end… however by this point the blizzard was upon us. We returned to camp soaked through all our layers, which happened to be all of our dry clothes 🙂 Dinner of mashed potatoes, peas, and chorizo and off to bed with a blizzard on and off throughout the night, just before we are to summit el paso. What luck! We woke to a sunny, beautiful day as we prepared to cross el paso! It was t he perfect day to summit the John Garner pass, with sun and few clouds, light wind and clear visibility. Leaving the campsite at Perros we immediately started the uphill scramble, trying to keep our shoes clean as we hopped on fallen branches and sunken rocks along a mud filled trail. In rainy weather the trail would have been a slippery disaster. About an hour later, we broke out onto an open rock slope. Behind us the valley we had just climbed up and in front of us loomed the mountains that held our beloved pass, gently dusted on top with a layer of fresh snow from the previous day’s blizzard. The climb was constant but not strenuous, and as we reached the summit the view of the grey glacier opened up in all directions. This magnificent, awesome 300km glacier stretches as far to the left and right as you can see, set with striking mountains and forest above its monstrous path. This is part of the Southern Patagonian Ice Cap, home to the world’s 3rd largest source of fresh water, and my favorite part of the circuit. After crossing the pass we started the steep downhill descent to arrive at Paso campsite (simple and cute campsite set under the trees). It rained all night, relentlessly pounding on the tent and dripping from the trees. 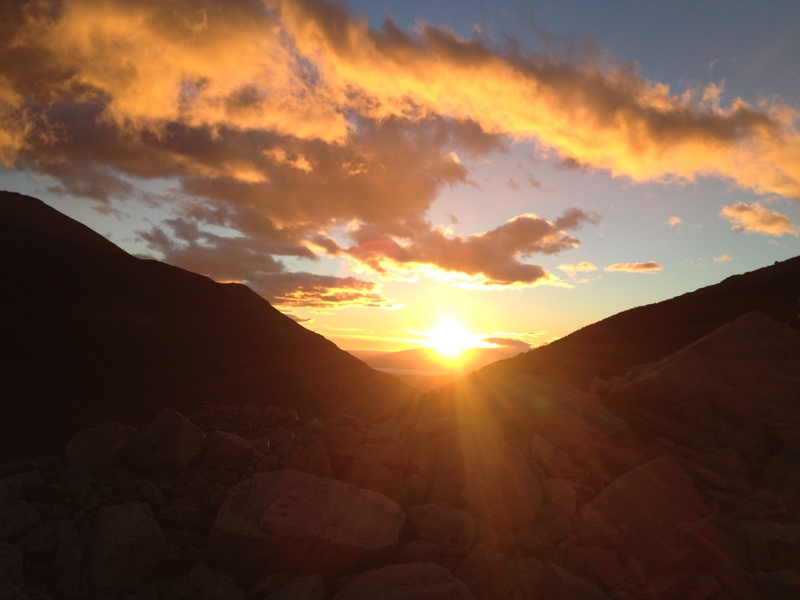 By the time we woke and rose, the rain had subsided and we began to eat breakfast and get our packs ready. We started walking along the ridge above the giant grey glacier through dense forests. After about an hour of wooded climbing we hit open fields. For the next 2 hours we walking was up and down, rounding the mountain, and climbing metal ladders. We stopped at several lookouts to views of the side of the glacier, getting closer to grey with every step. The forest starts wet and green, and finishes open and warm, less dense with tall trees making soft light on the canopy below. We arrived at grey on a beautiful, sunny day. 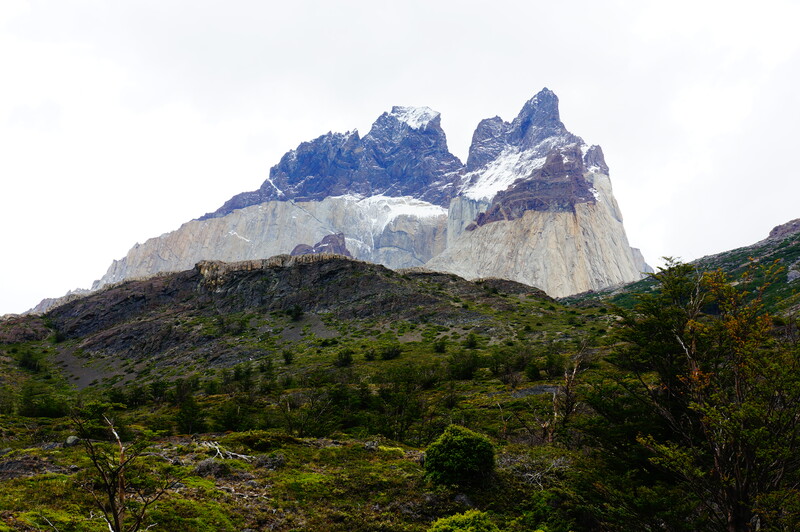 This is a short, 3.5 hour hike around Paine massif to the shore of lake Pehoe. A storm chased us the entire way, rain flicking our faces until we sped our pace up to feel the warm sun on our backs. We arrived early at Paine grande, ate lunch, and enjoyed a relaxing afternoon off. The wind blows strong at Paine grande, but fortunately our trusty porter arrived early to reserve a protected camp site. We started the day early in order to take the time to hike to the French valley. At 8:00am we were on the road, a slower pace at day 7 of hiking. The path is relatively flat and uneventful reaching Italiano, but the wind was up and the weather cool. By the time we ditched our bags and we’re heading up the French valley, it was overcast and cloudy. We made it to the first lookout after an hour, then headed back down again as visibility was poor. The trail to Cuernos has been rerouted in order to advertise the new Refugio Frances that Fantastico Sur is building. Once at cuernos, we rested throughout the afternoon underneath the mighty stone mountain. We started our last full day to rain, which followed us to el Chileno. For the first 2.5km we climbed uphill from the Refugio, then dropped down for 2 km before branching off to take the trail up to el chileno. We left at 9:40 and arrived around 2:30pm, with a lunch break but otherwise very little stopping. We decided to hike up to see the Towers as sunrise, so rested throughout the afternoon and went to bed early. In the morning we woke at 3:30am, dressed and started the steep climb to see the towers in the dark. Headlamps ready, we climbed throughout the early morning, sweating and out of breath for 1.5 hours until we reached the Torres (45m chileno to camp, 50min camp to Torres). It was cold and the clouds rolled in covering the towers, but the sunrise was beautiful and illuminated the sky with orange. We arrived at the base to catch the transfer to Puerto Natales, incredibly happy with our adventure. 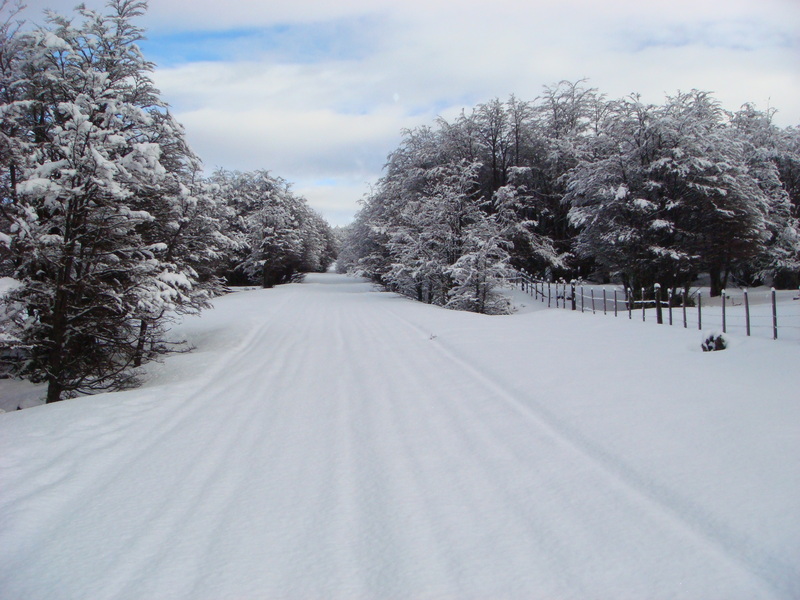 This entry was posted in Tours & Trips and tagged "O" Circuit, Camping, Cuernos, Glacier Grey, Guided tours, Los Torres, Patagonia, Refugio Dickson, Serón, Torres del Paine, Trekking, Valle Frances on February 10, 2014 by On the Road Patagonia.